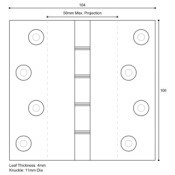 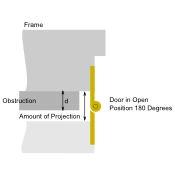 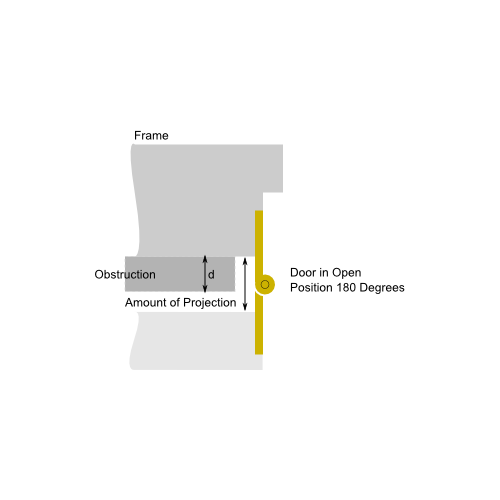 Projection hinges are drilled with holes toward the edge of a broad leaf enabling doors to clear obstructions when opening beyond 90°. This premium quality, British made hinge will provide up to 50mm projection at 180° and features double phosphur bronze washers for reduced wear and increased weight carrying. A good choice for internal or external medium weight doors up to 40kg. 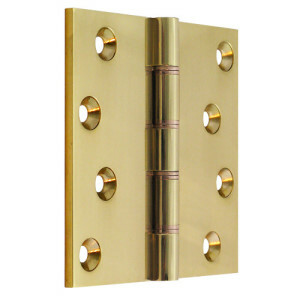 The all non-ferrous construction makes the Self Colour version of this hinge particularly suitable for external doors and shutters etc in high humidity or marine environments. One hinge complete with countersunk Pozi drive woodscrews in matching finish.